Hard cover book by author Kirk Deeter . Book size is 10" x 8" with 192 pages. 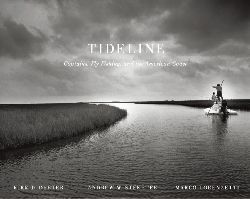 Combining narrative essays and luminous black & white images, Tideline is a revealing look at the working soul of American saltwater fishing. Authors Kirk Deeter and Andrew Steketee traveled the intercoastal waterways from Cape Cod to San Diego with photographer Marco Lorenzetti to create a uniquely illustrative work on the lives of nine sportfishing captains, as well as the remarkable fish and seascapes that fuel the imagination. Tideline is, at once, an entertaining, enlightening, and honest look at the diversity of the sea’s human and natural life. From the solitude and serenity of the flats to the spirited adventure and adrenaline of blue water, this book captures the rugged and beautiful stories of fish and men."